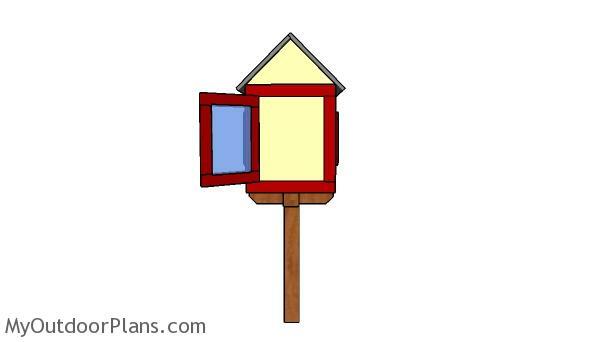 This step by step diy woodworking project is about little free library house door plans. 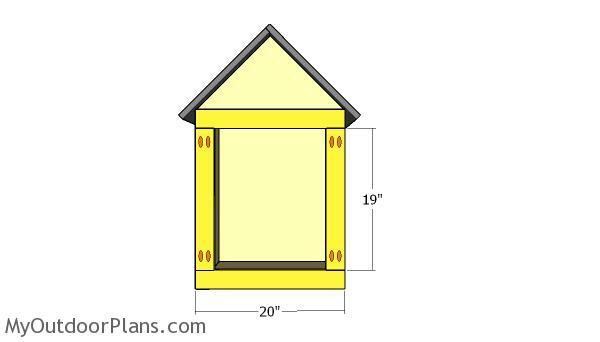 This is PART 2 of the little library house project, where I show you how to build the door and how to attach the trims. If you enjoy my design, don’t forget to take a look over the rest of my free plans HERE. The first step of the PART 2 of the project is to build the frames that go on the front and on the back of the little house. 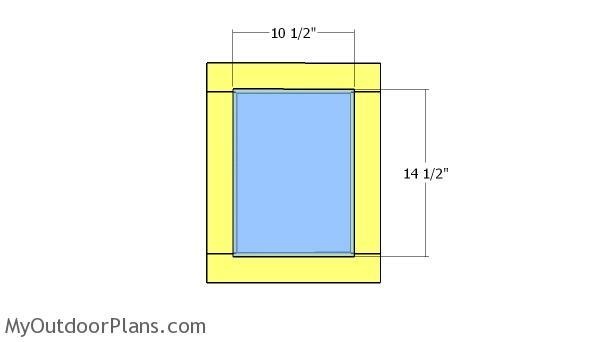 Cut the components from 1×3 lumber at the right dimensions. Drill pocket holes and insert 1 1/4″ screws to lock everything togther tightly. Make sure the corners are sqaure and add glue to the joints. Use 2″ nails to lock the frames to the box. 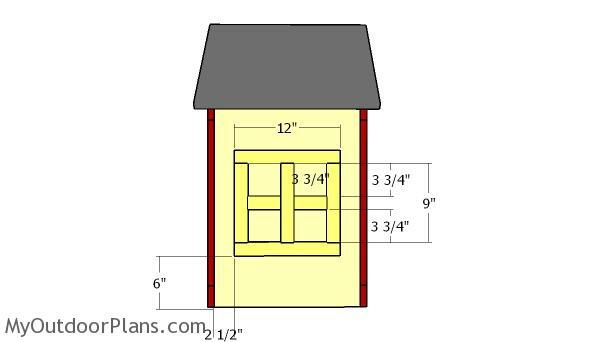 Fit 1×1 decorative trims to the sides of the little library house. Use glue and 1 1/4″ nails to lock the trims into place tightly. Center the little free library house to the base and lock it into place with screws. You could insert the screws through the base into the house or you could insert the screws through the house floor into the base. 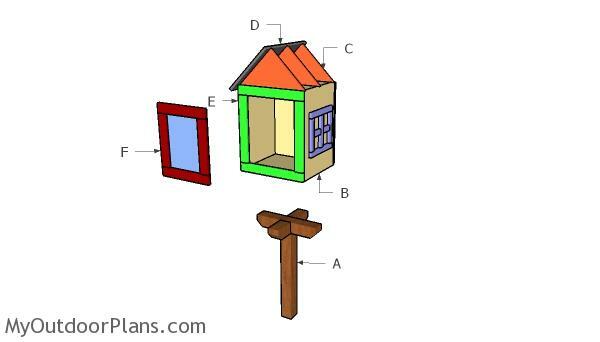 Use 1×3 lumber for the door frame. 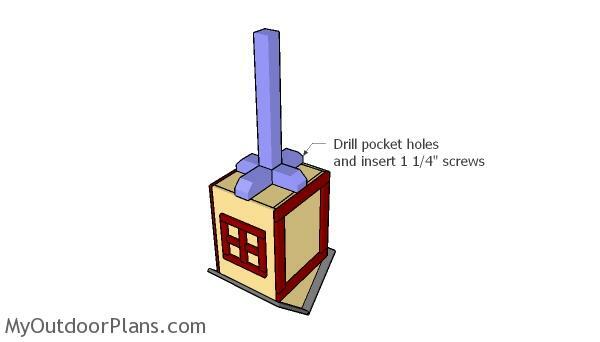 Drill pocket holes at both ends of the vertical supports and insert 1 1/4″ screws to lock everything tightly. Check if the corners are square and align the edges flush. 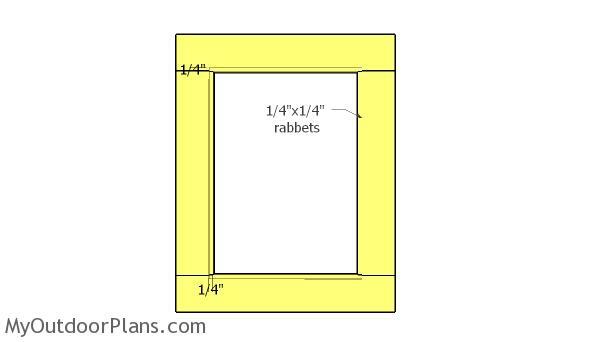 Use a router to make 1/4″x1/4″ rabbets to the interior of the frame. Use 1/4″ plexiglass for the door panel. Lock the panel to the frame with silicone or with adhesive. Fit the door to the front opening. 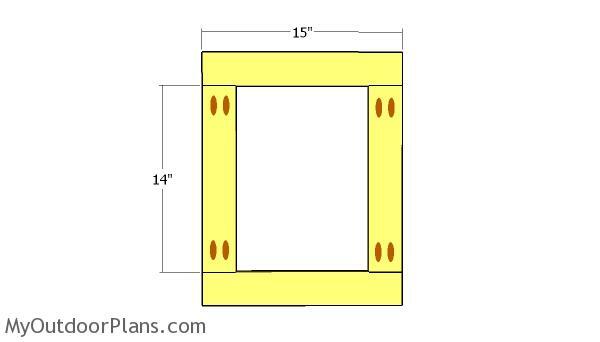 Align the edges with attention and secure it to the frame with hinges. 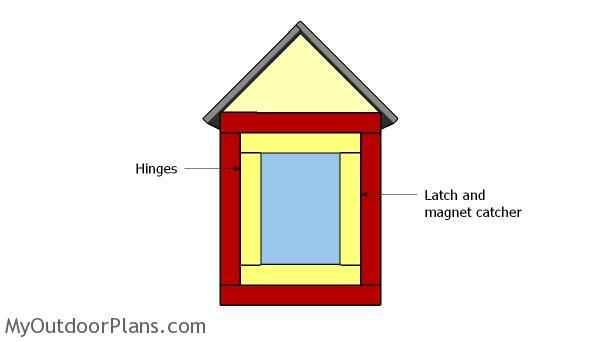 Install a small handle and then attach a magnetic latch, to keep the door closed.